On November 28th, in partnership with the Labor Resource Center - University of Massachusetts Boston, we are pleased to invite you to a special free showing of the 2015 documentary: A Day’s Work. Light refreshments will be served. 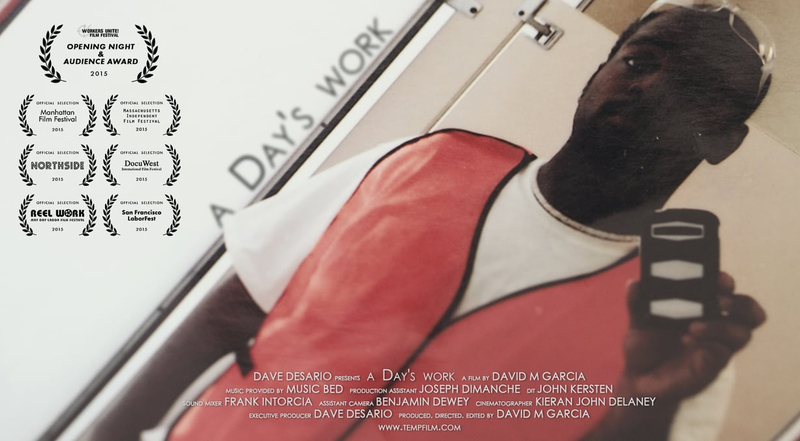 The film examines the landmark workplace death of 21-year-old Lawrence DaQuan “Day” Davis. Day was an employee of a temporary staffing agency working at the Bacardi bottling plant in Jacksonville Florida in 2012. He was killed 90 minutes into the first day of the job - the first job of his life. The film explores the troubling issues that led to Day's death and how the $100 billion temporary staffing industry is putting millions of American workers at risk. After the film, Executive Director Desario will join representatives from the Labor Resource Center and MassCOSH for a question and answer panel discussion on temp labor in Greater Boston and around the nation. A recent Chicago Tribune review called the film "a smartly crafted documentary about the dangers faced by temporary workers."